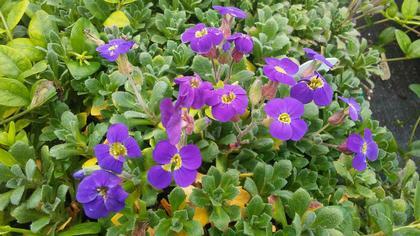 The flower color of this alpine groundcover are the star of the show. Vivid magenta blossoms cover the semi-evergreen foliage for a month in the spring and early summer. Works well between pavers or in a rock garden with tulips and other spring beauties. Its alpine nature means well-drained soil is a must.